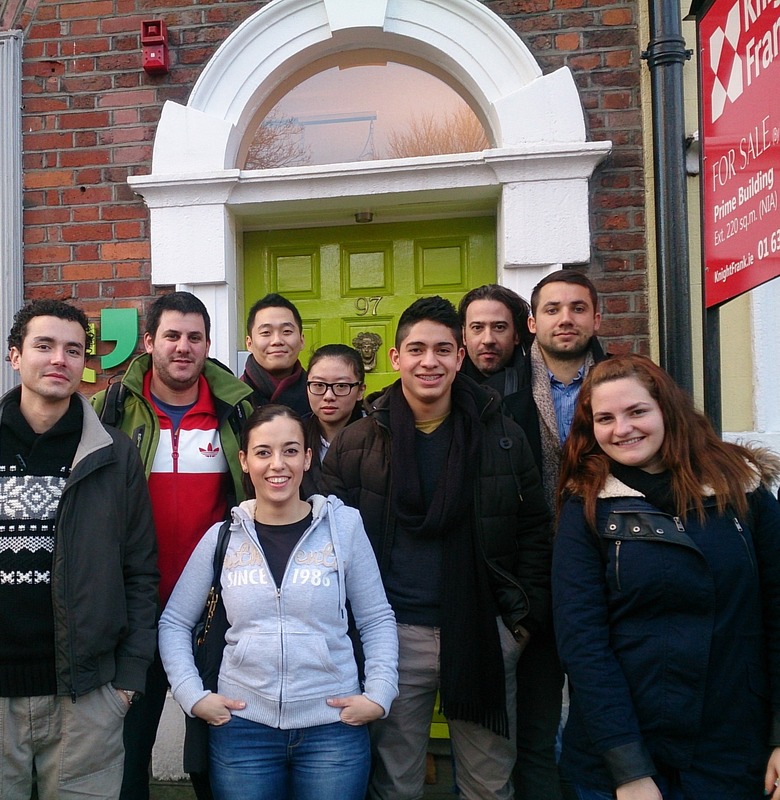 Linguaenglish Dublin has been committed to providing excellence to students like you since 1988. 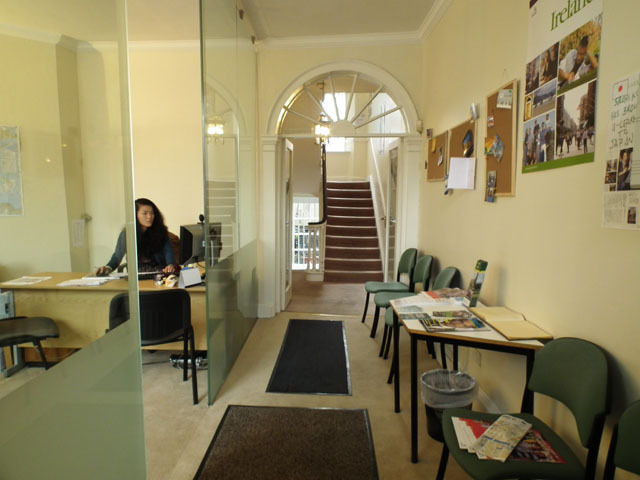 We have helped thousands of people learn English in a warm and welcoming atmosphere. Based beside beautiful St Stephens Green you can be sure to enjoy the best of Dublin while you learn English with Dublin’s best teachers. 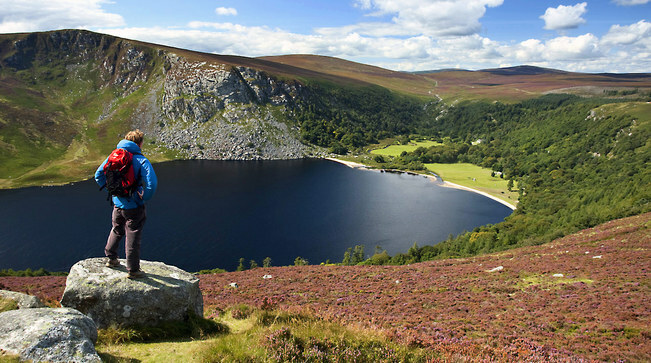 Ireland is famous for it’s history, heritage and landscapes. Dublin is a very historic city on the east coast of Ireland within easy reach of beautiful beaches, mountains, and scenic hinterland. 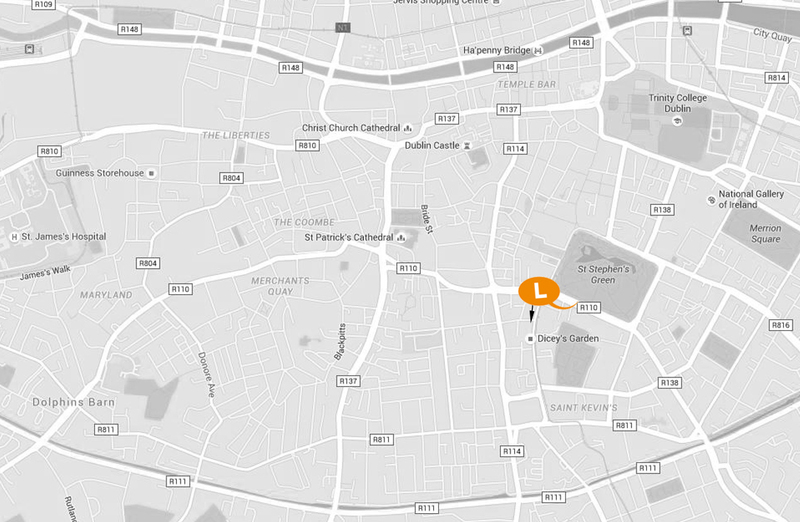 Our central location means we are very close to a wide range of historical sites, art galleries, as well as great pubs and restaurants. 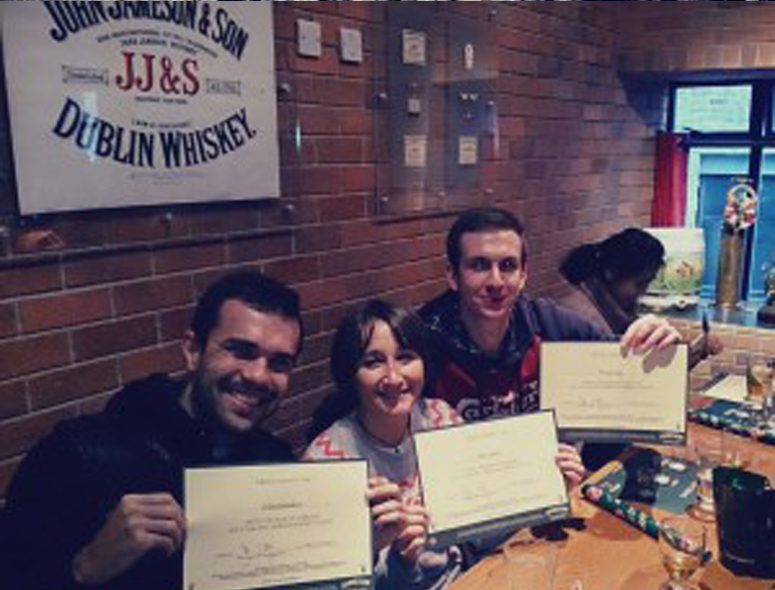 Our English courses aim to help students develop their language skills and communicate effectively in language. 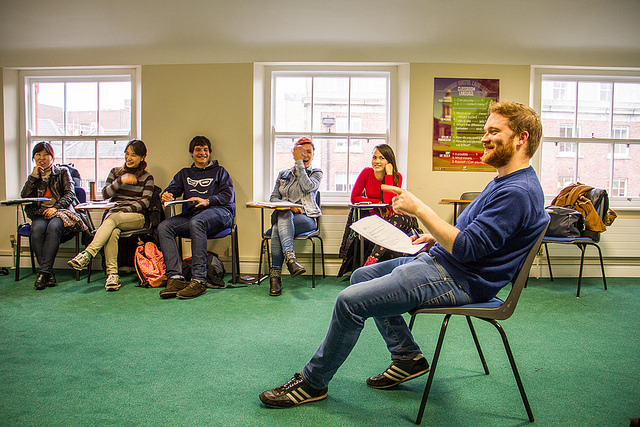 At our English school we provide some of the best teachers in Dublin. 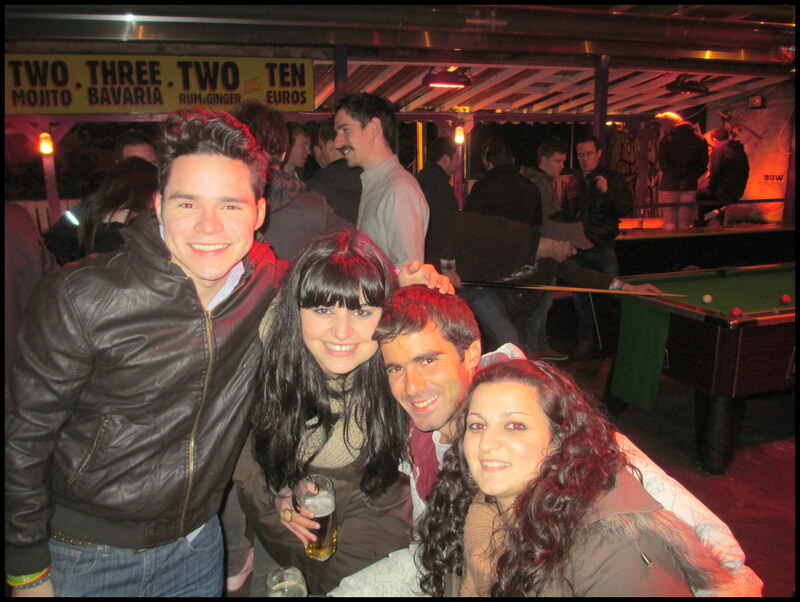 They are on hand to provide all the help and assistance you need, to achieve your goal in learning the English language. 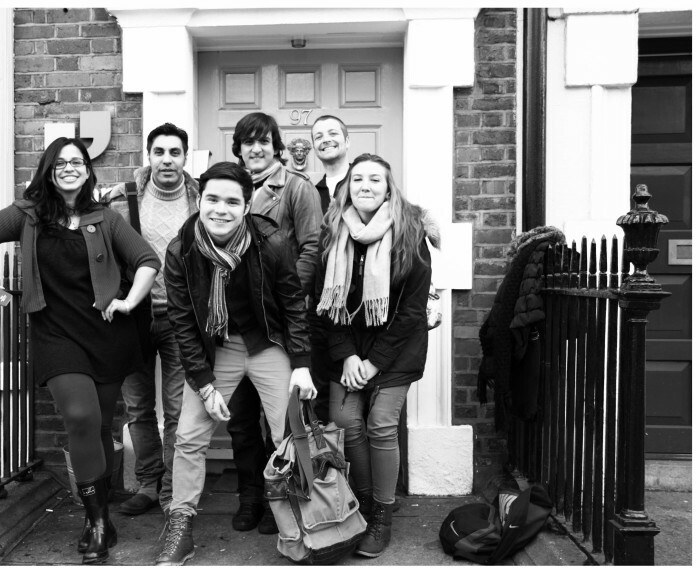 Our students come from all over the world – Europe, Asia, America and Africa. The reason why the students choose our school is simple our teaching methods that are both effective and fun. Students receive close and personal attention from our staff and teachers. Our school provides classes for students of all levels and all ages and our teachers are all experienced native English speakers. At Linguaenglish, we believe that in order for our students to learn effectively, they need to be happy in their surroundings. 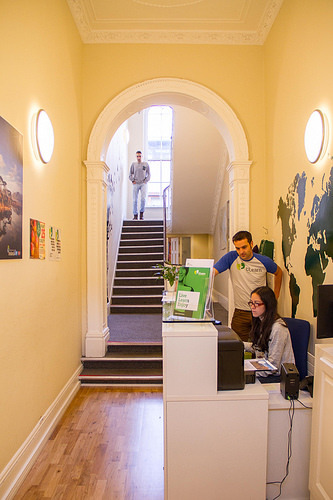 Our English School helps students by providing safe, comfortable accommodation both in the city center apartments and Host Families. 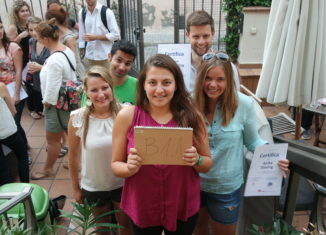 All our efforts here are focused on making your learning experience fun and productive. Our General English courses help students to focus on the 4 main methods of communication: Reading, Writing, Speaking and Listening. Our specially designed English courses are delivered using exciting and vibrant lesson plans which allow students to practice their English in a “real world” environment with students of other nationalities. Our school runs plenty of cultural, sporting and social activities for our students. Each and every week organizes trips, parties and excursions – so you will never be bored. We also host weekly sports events including football, running and cycling trips. Dublin is the capital and largest city of Ireland and it is in the province of Leinster on Ireland’s east coast, at the mouth of the River Liffey. 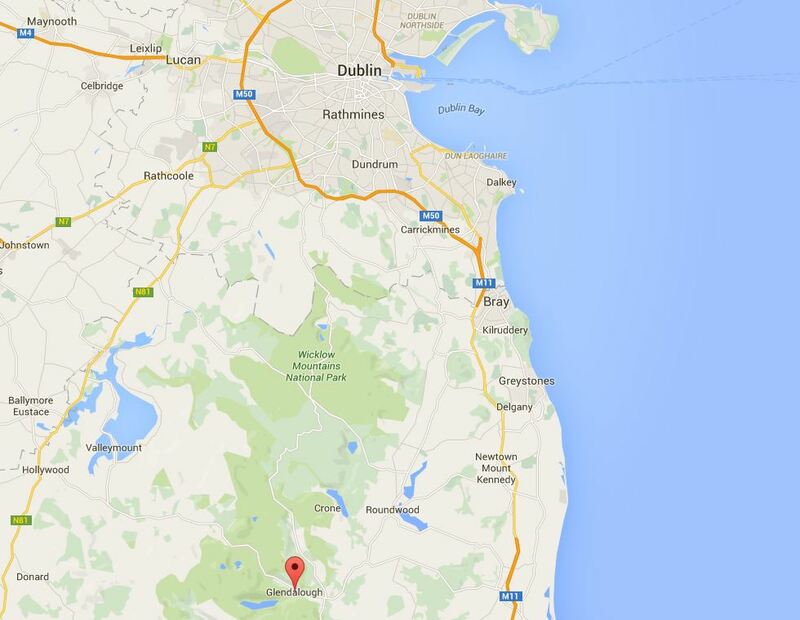 Here is a small introduction what the city and region around Dublin has to offer. 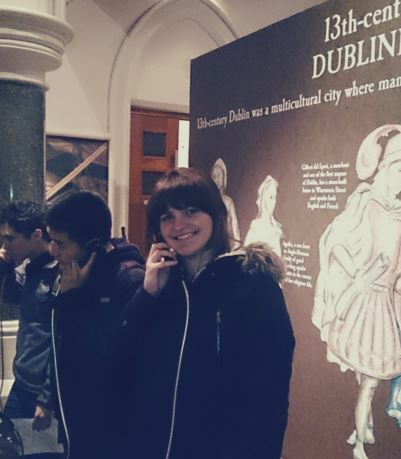 A group of students from our English school in Dublin visited Dublinia – the Viking and medieval museum. 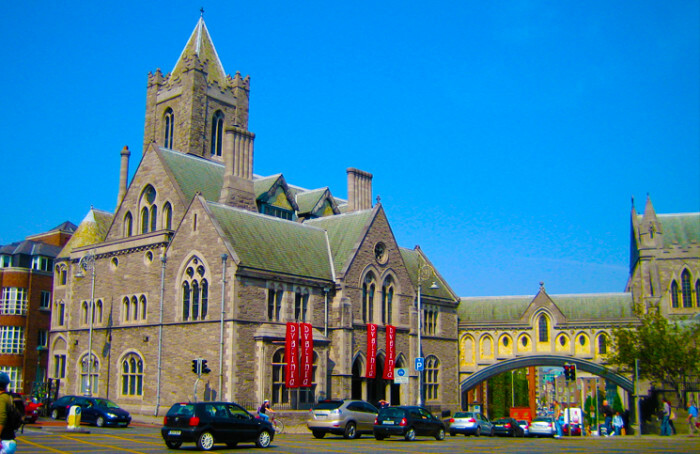 Dublin historians agree that the Vikings played the most important part in establishing Dublin as a town. 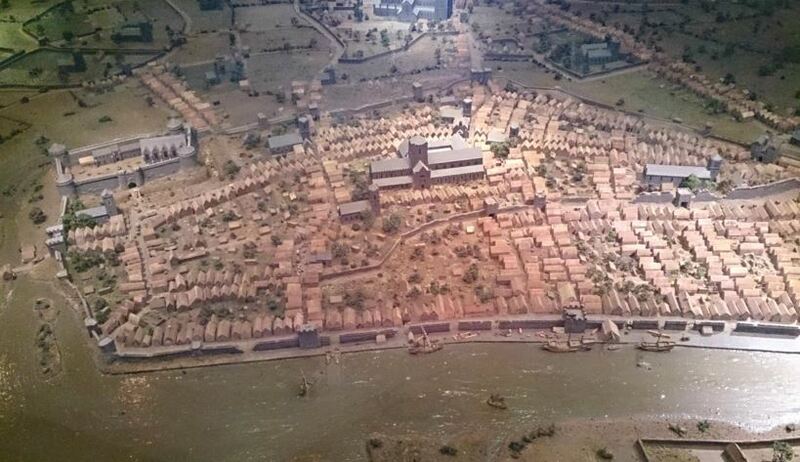 A small settlement existed before the Vikings arrived to Dublin in the year 840. The Vikings always chose locations on rivers, bays and lakes so that they could use the water for transport and more importantly, protection from enemies! Dublin bay gave shelter and protection that made it the perfect place for Scandinavian Vikings to build a town in Ireland! The museum is divided into three sections. 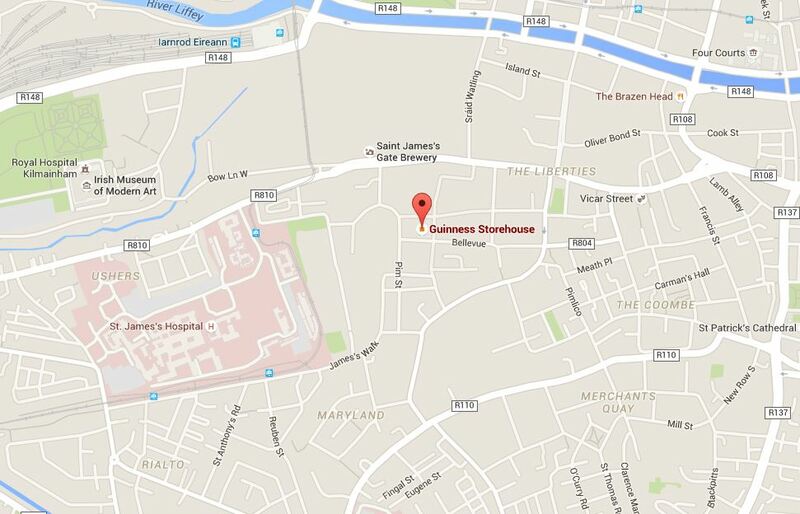 On the ground floor, it’s all about how the Vikings settled in Dublin. The next floor tells us about the arrival of the Anglo-Normans to Dublin, the building of Dublin Castle and how Dublin became a city of trade and commerce. 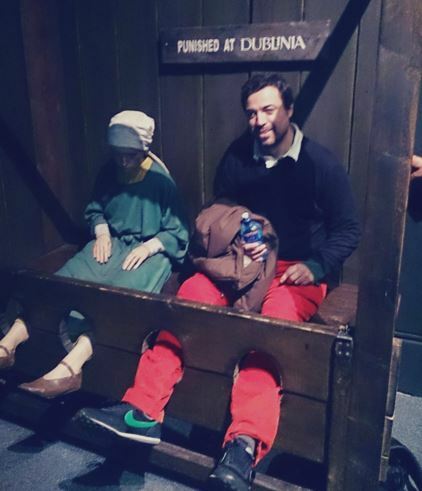 Dublinia’s exhibition is cool because visitors are encouraged to pick up and examine the different objects around the museum. At the museum there is also the opportunity to enter huts and houses that are exactly how the houses were hundreds of years ago. One of the most interesting and sad parts of the exhibition comes at the end in the archaeology section. Unfortunately in the late 1970s the Dublin city authorities made the decision to build huge offices on the original site of the Viking settlement at Wood Quay in Dublin. 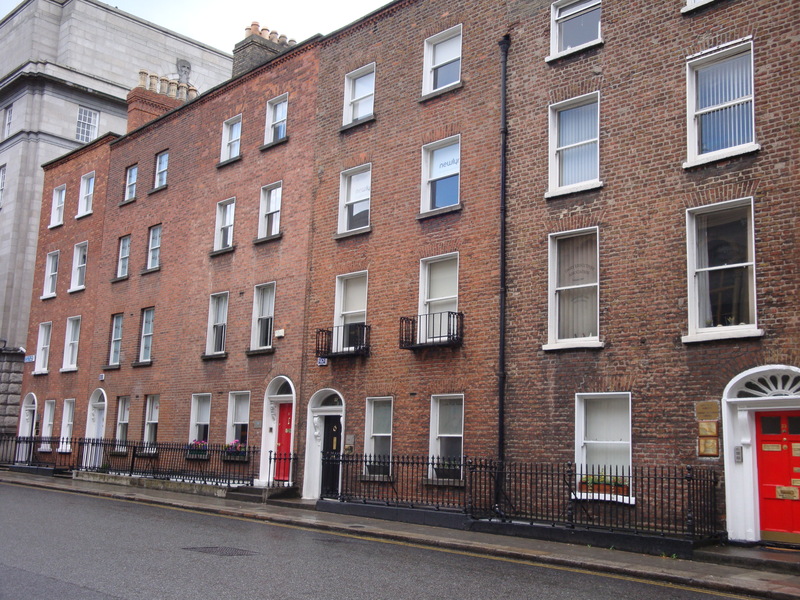 Some of Dublin’s oldest history was lost during this construction and many Dubliners went to the streets to protest. Dublinia tells us this controversial story. This next trip is going to be a little different! 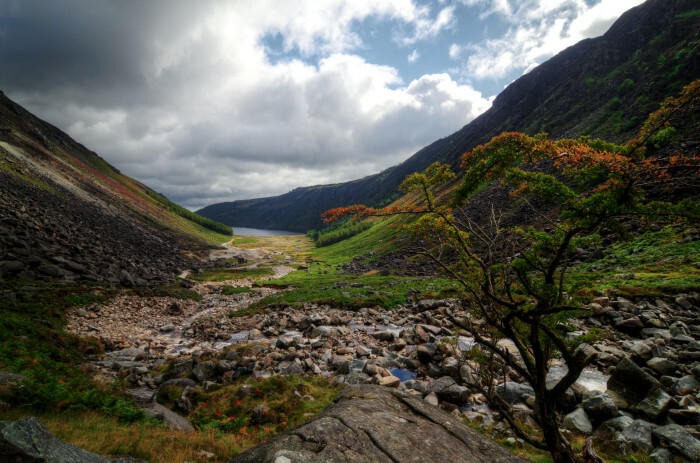 Maybe some of you have already been to Glendalough, famed for its peacefulness and idyllic views. Our school in Dublin is going to lead our more active students around the upper lake to take in the best views of the area. It’s about a ten kilometer hike and after a short climb at the beginning it is pretty easy going. 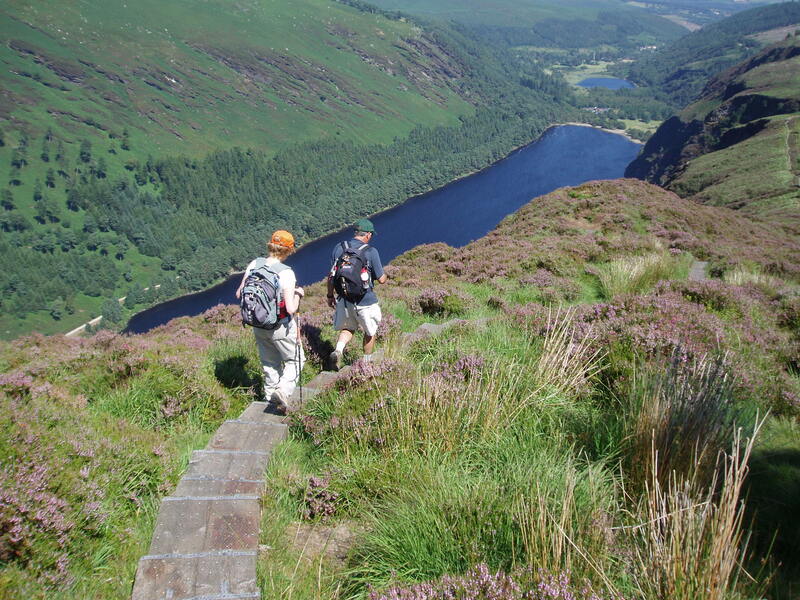 The hike is fun and you can explore the wonderful nature of Ireland, so stretch your legs and get some fresh air. If that sounds like too much work for you, you can simply stay and the bottom of the hills and wander around the lakes and old monastic ruins. Either way it promises to be an enjoyable day out! If you want a taste of what it looks like to hike in Ireland, here’s a nice video showing part of the trek! 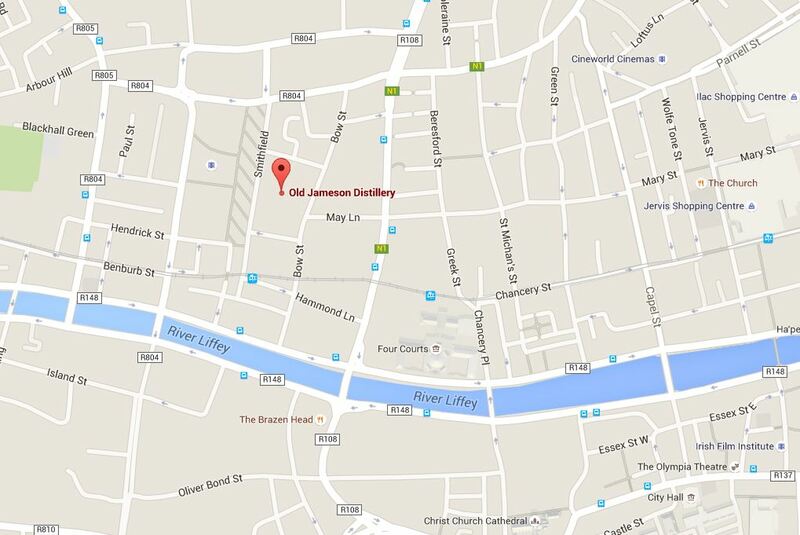 A large group of students from our school in Dublin visited the Old Jameson Distillery for a very enjoyable tour. 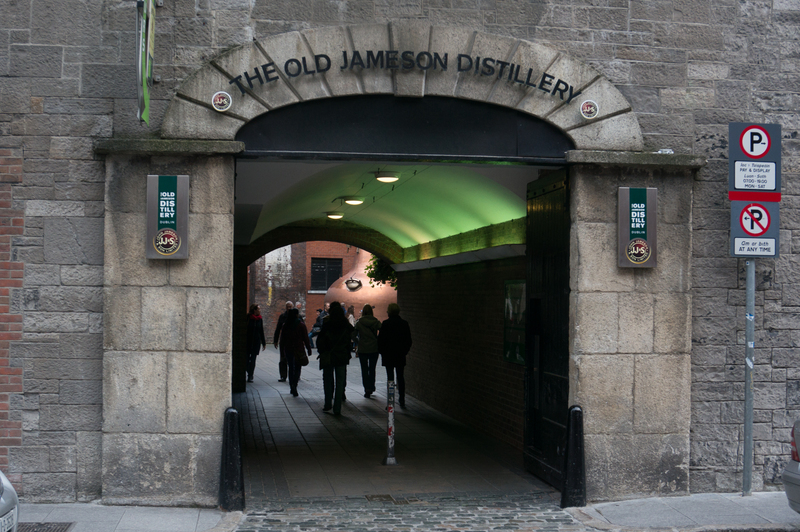 The distillery first opened its doors in the year 1780 and since that time Jameson has gone on to be one of the most widely available drinks in the world. 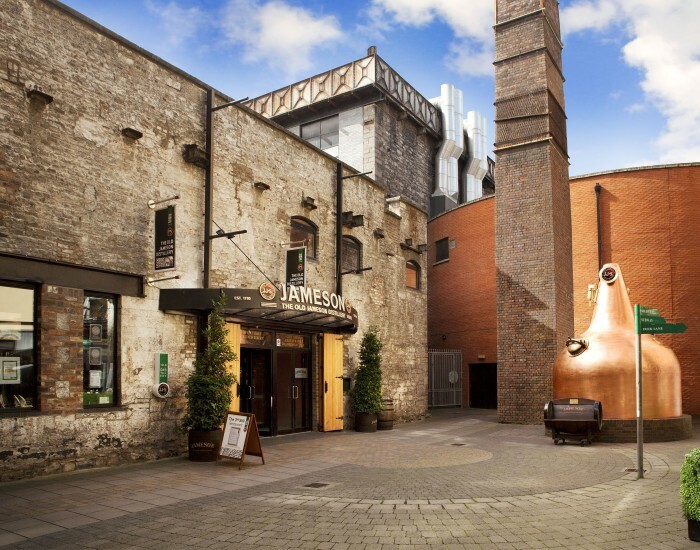 It is no longer an active distillery but the museum is one of the most visited tourist attractions in Dublin and it is easy to see why. The tour began with a video explaining a little about the history of the distillery. Smithfield is located just outside the city center and at one time, a very large percentage of the people who lived there were employees of the distillery. 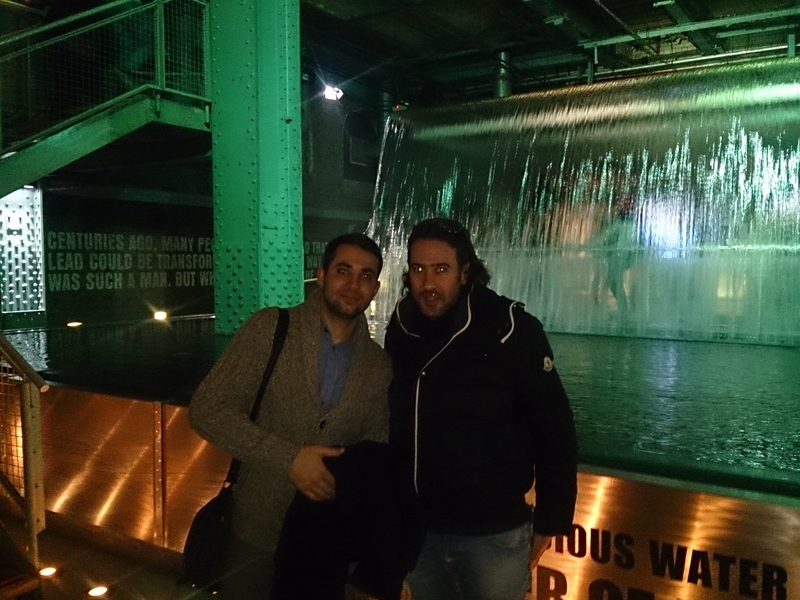 The guide informed the group about the triple distilled method used by Jameson that makes Irish whiskey different from Scottish and American whiskey. Many of the old techniques have now been replaced due to technological advances but the same principles are there. During the tour the guide was very informative and answered all of the group’s questions. Without a doubt, the most fun we had was at the end of the tour when some of the group got to taste the different types of whiskey. 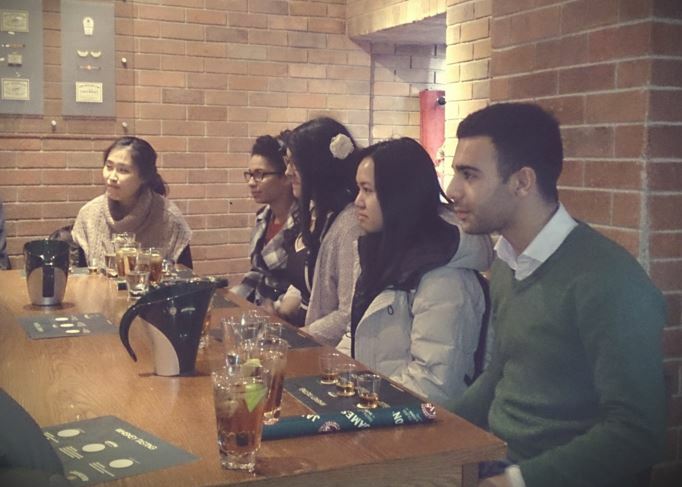 American, Scottish and Irish whiskeys were on the table and the students were given a very interesting explanation about why the taste of each whiskey is distinct. We were all given a free whiskey at the end which was just perfect for the cold weather! 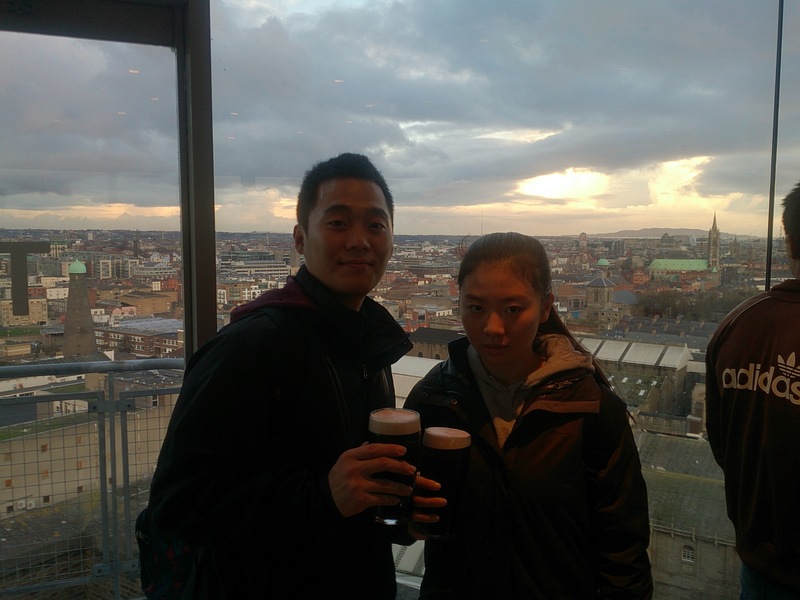 The Guinness Storehouse received over 1 million visitors last year making it Ireland’s most popular tourist attraction so the students Linguaenglish Dublin were very excited to visit it. 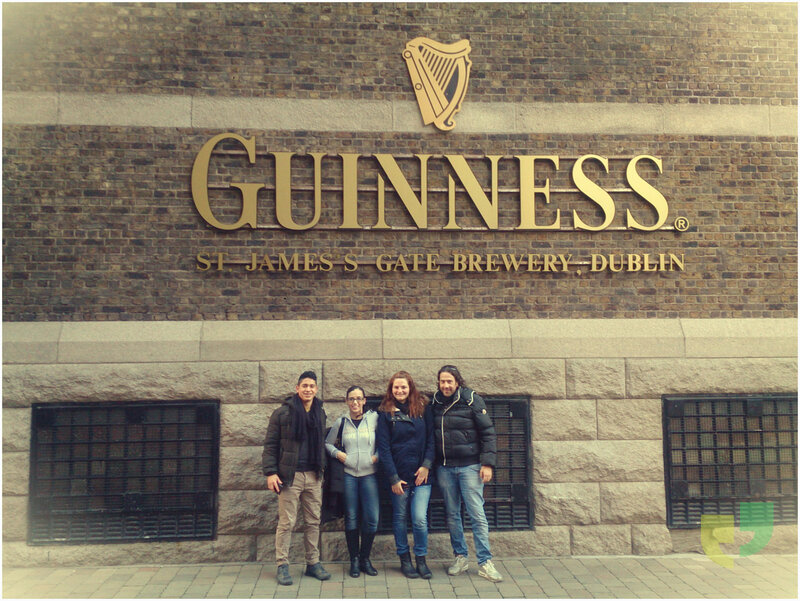 We all know that Irish people love Guinness and this was a great chance to find out more about the drink. On the way to the storehouse the first thing that most people notice is a distinctive smell in the air. This is the smell of hops (a flower used in Guinness production) burning and it’s a smell that reminds Dubliners of home! 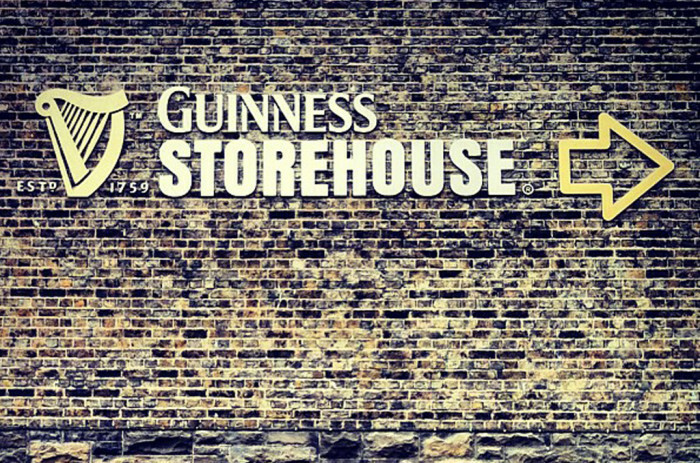 The tour inside the storehouse is an experience that combines the old and the modern. 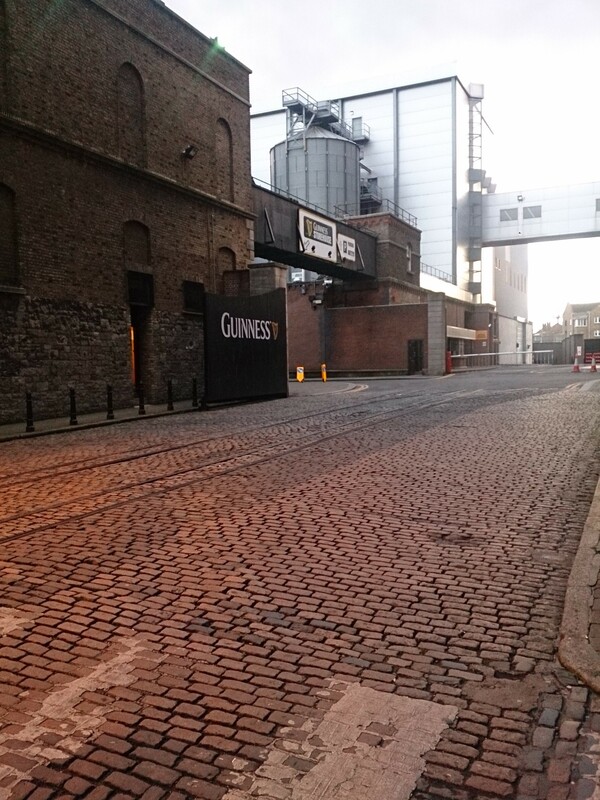 The first thing you see is the different ingredients that are needed in order to produce Guinness. 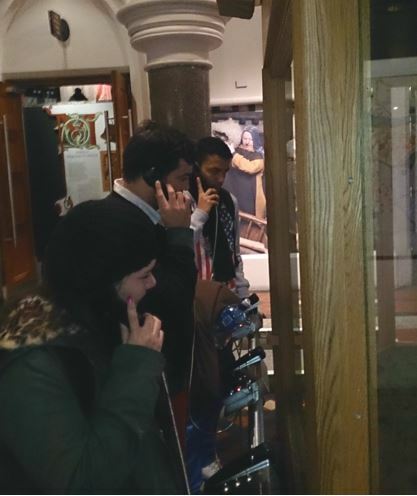 As visitors climb the different levels of the storehouse they learn more about the story of the drink. One level is dedicated to something Guinness always makes a big impression with – it’s advertising. Advertisements from the past and the present are displayed in a gallery. There is also a section which shows some of the many famous people who have visited the storehouse over the years including Queen Elizabeth II and Barack Obama and his family. 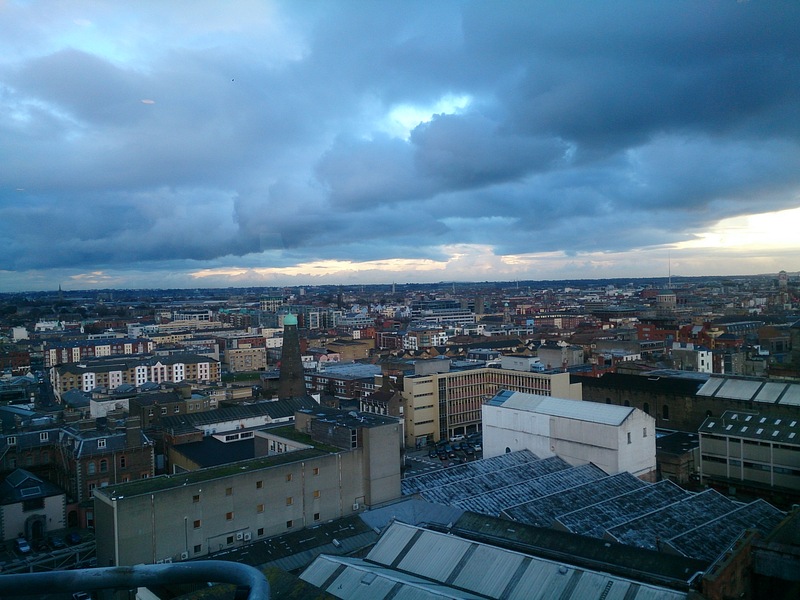 The highlight for many visitors is the gravity bar which provides stunning views of Dublin city. 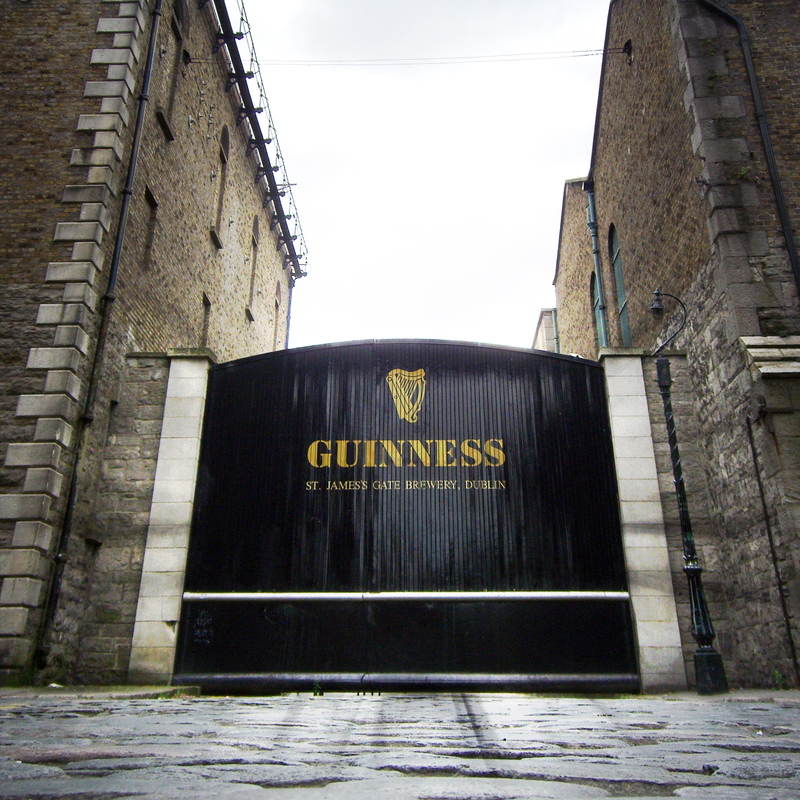 In this bar visitors can enjoy a pint of Guinness in a bar that has 360° panoramic view of Dublin. Croke Park is visible to the north, the Irish Sea can be seen to the east, on the south there’s the Dublin Mountains and to the west is the Phoenix Park. It was the perfect way to finish the tour.